BNP on Saturday alleged their party’s allegation of vote ‘robbery’ in December-30 national election has now proved true with Chief Election Commissioner KM Nurul Huda’s comment that the use electronic voting machines (EVMs) can prevent stuffing ballot boxes the night before an election. “The Chief Election Commissioner has said the risk of stuffing ballot boxes the night before the voting will reduce if EVMs are introduced. The fact over the election has started to emerge from Pandora's Box,” said BNP senior joint secretary general Ruhul Kabir Rizvi. Speaking at a training workshop of the election officials at the Nirbachan Bhaban on Friday ahead of Upazila elections, KM Nurul Huda said the Commission is planning to use electronic voting machines to make sure that ballot boxes cannot be stuffed on the night before an election. Since the national election, BNP and Jatiya Oikyafront have been accusing the ruling party of indulging in vote ‘robbery’ by stuffing ballot boxes on December 29 midnight. 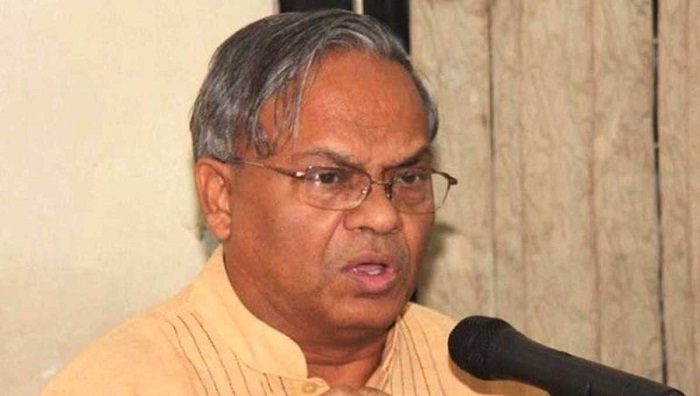 Stating that snatching people’s voting rights is tantamount to robbery, Rizvi said KM Nurul Huda committed a serious offence by holding a midnight election only to keep the current government in power illegally. “Your (CEC’s) remarks will remain as an important document to people about how a Chief Election Commissioner allowed stuffing ballot boxes at midnight in a national election depriving people of their voting rights,” he said. The BNP leader questioned the CEC whether he allowed the ruling party to stuff ballot boxes on December 29 to justify the use of EVMs that were procured spending thousands crore of public money. He warned the CEC that he will have to be accountable to people some day for the midnight voting as sins never die. He said not only the CEC, but also another Election Commissioner talked about the midnight voting carelessly as the truth cannot be buried. Rizvi voiced deep concern as their seriously sick chairperson Khaleda Zia is yet to be taken any hospital for treatment. He demanded the government shift her to United Hospital for ensuring proper treatment of her.